Along with Dominick Reuter, I was hired by MIT’s News Office to provide coverage of the 145th Commencement at Massachusetts Institute of Technology. 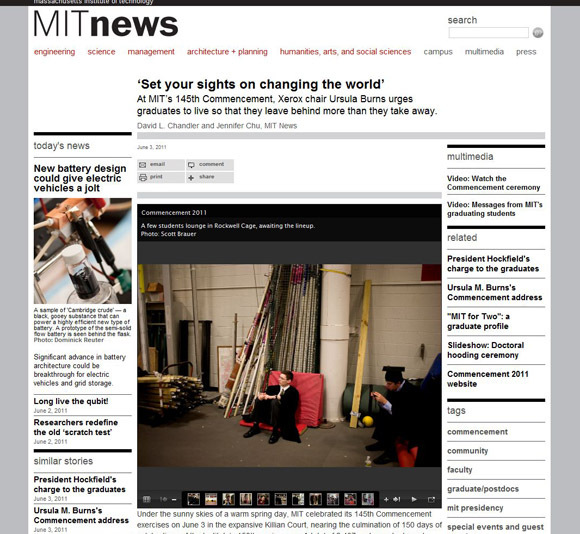 A small selection of images were published in a slideshow at MIT’s News Office website and as the background for MIT’s homepage. Sadly, I don’t have any screenshots of the homepage. I’ve also posted a few favorites from the day at the recent work section of my website. More pictures are available in my archive.